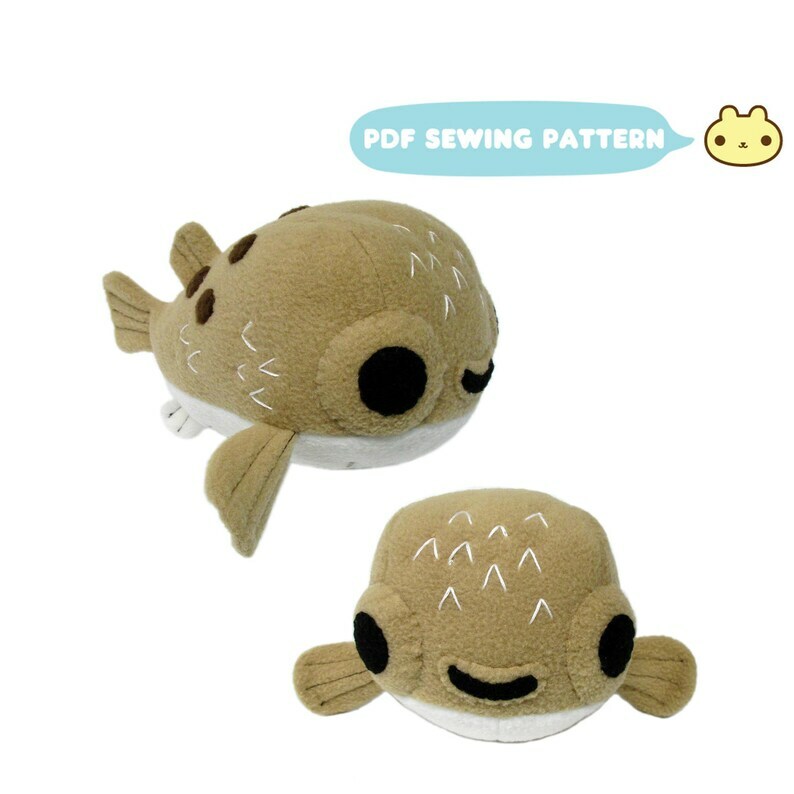 PDF Sewing Pattern - Have ever seen a porcupine pufferfish in an aquarium? There's one in my dentist office and I simply love it's little awkward swimming, perma-smile fish. Now, it's forever immortalized in plush form! I can't look at this without smiling and now you can make your very own plush pufferfish using this puufferfish sewing pattern! : ) Thank you!!!!!!!!!!! Thanks!